Mosmatic Corporation - Are you familiar with our Hurricane Undercarriage Cleaner? Are you familiar with our Hurricane Undercarriage Cleaner? 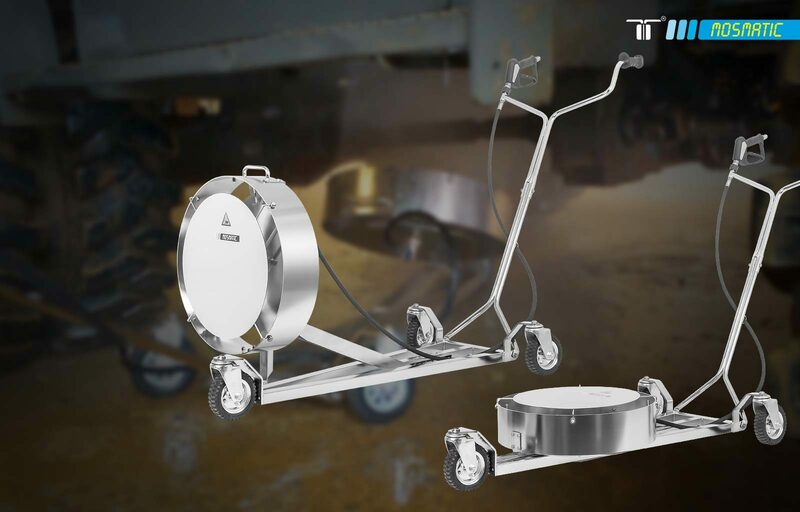 The Mosmatic Hurricane Series is THE mobile undercarriage cleaning solution. Why the Hurricane from Mosmatic? The various heights and models with diameters of 21″ or 30″, come with HP nozzles or with Stabilizer nozzles. There is also the NEW Hurricane Pro with the ability to adjust the angle to easily clean the vehicle horizontally or vertically. The Hurricane makes it easier to clean underneath vehicles with a clearance of 6.5″ (9.1″). For use on cars, trucks, agricultural machinery, at construction sites and on various types of vehicles without using a car lift. The Hurricane is time-saving and cost efficient and can be used with cold or hot water.